Located in Imerovigli, Belle Etoile Villas features an outdoor pool with sun terrace and views of the Aegean Sea and the eastern part of the island. 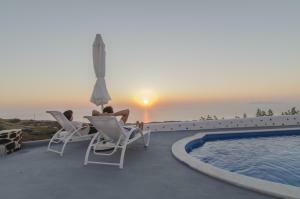 Fira, the lively capital of Santorini, is located at 1 km. 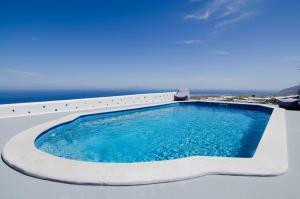 This suite has a balcony with views of the Aegean Sea, a kitchenette, a flat-screen satellite TV and free Wi-Fi. 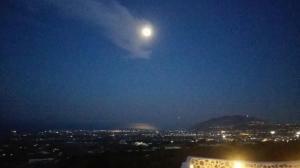 This apartment has a balcony with views of the Aegean Sea, a kitchenette, a flat-screen satellite TV and free Wi-Fi. This junior suite features a spa bath, a kitchenette, a flat-screen satellite TV and free Wi-Fi. This honeymoon suite has a large marble bathroom, a seating area, a kitchenette, a flat-screen TV and free Wi-Fi.